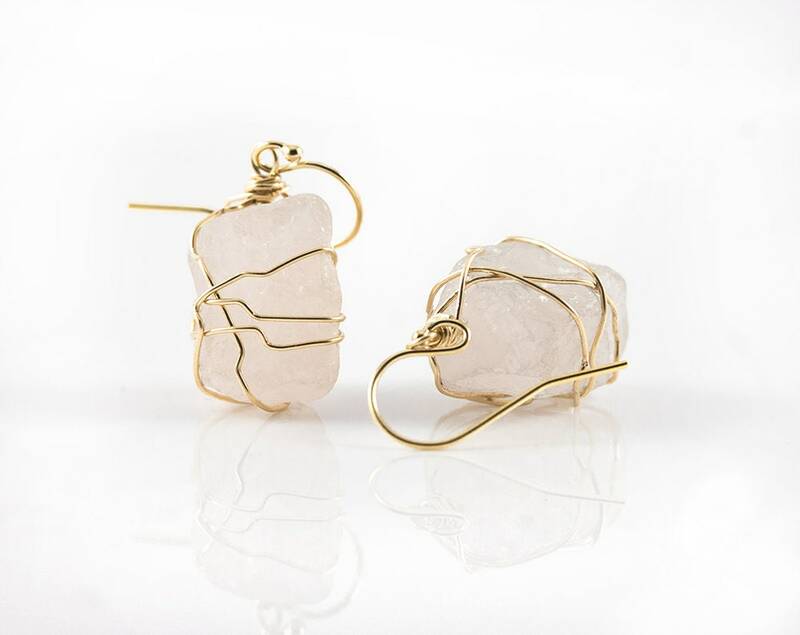 These beautiful earrings include approximately 18x11 mm rose color natural quartz stones and beautifully wire wrapped with 14K Gold Filled Wire. Each piece is unique and individually crafted and for that reason it make one of a kind jeweler. 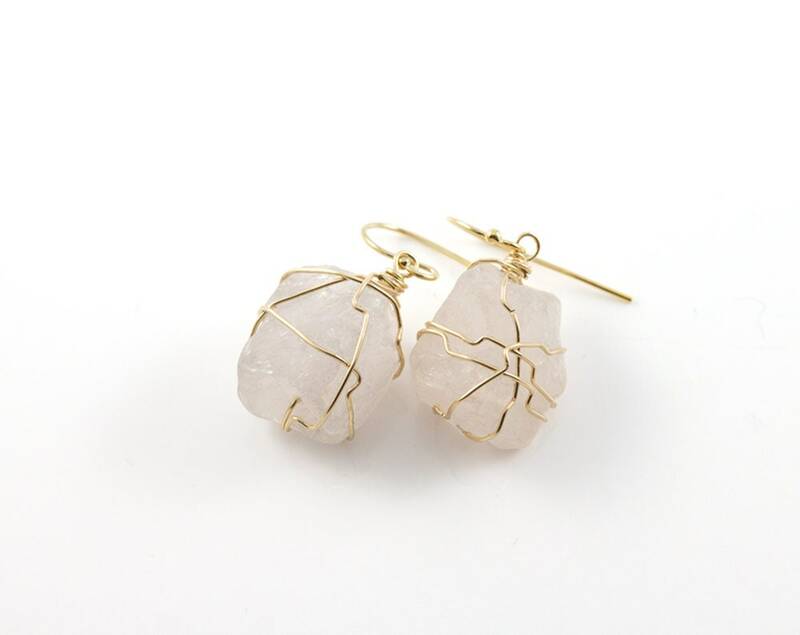 Wire Wrapped Gems are hanging from 14K Gold Filled or Sterling Silver ear wires. 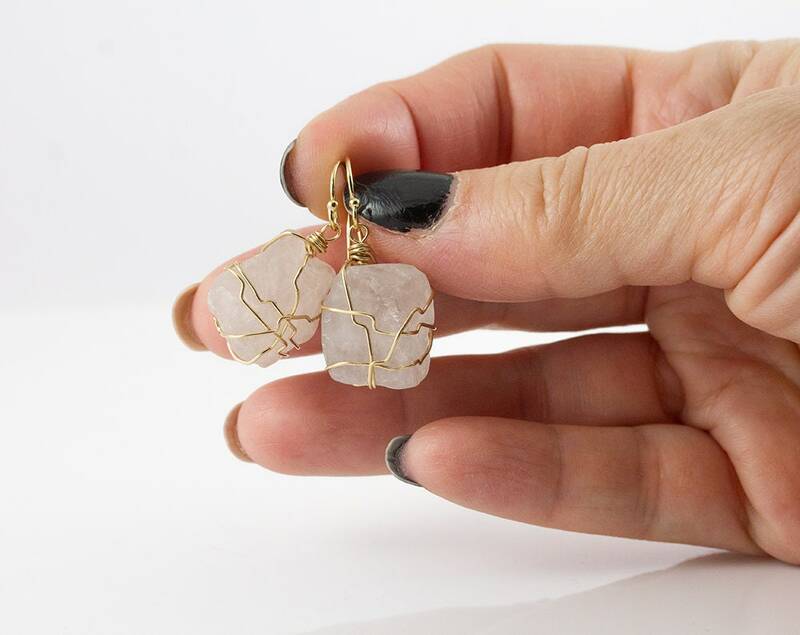 These relatively hard stones give the earrings a delicate appearance, which makes the earrings perfect gift for a mother of bride or groom, your bridesmaids or for your loved ones. The Quartz stones have pink color variance from pale to strong and are semi-transparent, often looking as if crackled. 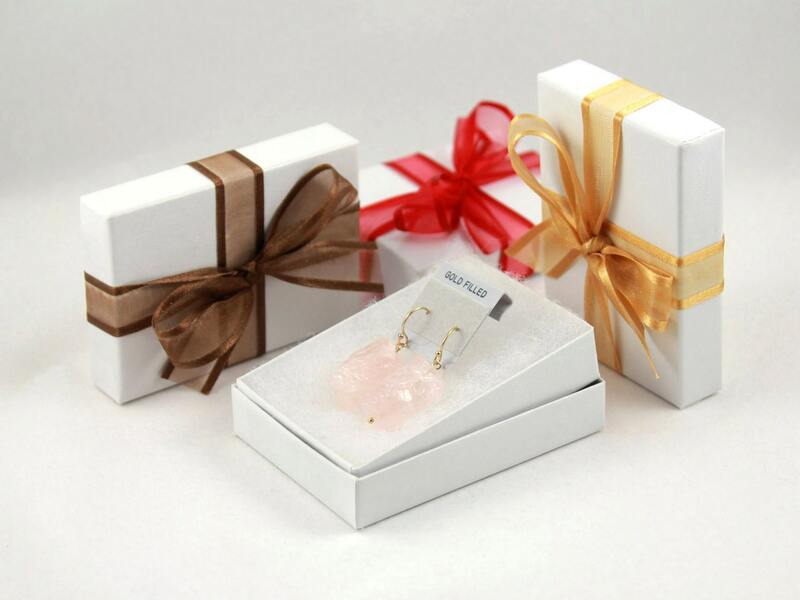 The earrings come in a nice gift box. It is ready for gift giving! The earrings are available in both Sterling Silver and 14K Gold Filled. Please select your desired material from the dropdown on the right when ordering?